Though believed to be mythological creatures the existence of Gargoyles was discovered shortly after the first expedition into the geologically unstable underworld. At first, they seemed content to remain in their subterranean domain, but recently they began appearing in our world, seemingly bent on doing us great harm. These diabolical nemeses have begun to seize our holy shrines and places of enlightenment. Scores of homes and villages in our land have been destroyed during nocturnal raids mounted by the daemonic fiends, while countless others stand empty and deserted. Local and government militias have organized in opposition to the calamitous invasion from below. Whole brigades of skilled warriors from Serpent's Hold have clashed with these tireless foes on the field of battle, but to no avail. The Gargoyles' methods suggest that they are searching for something of great value. It is even rumored that they may seek your destruction, though why this should be is not known to us. 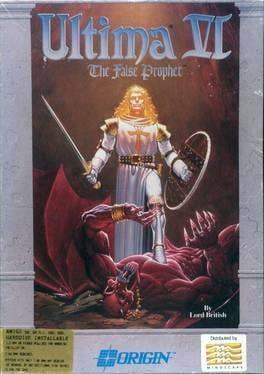 Ultima VI: The False Prophet is available from 4.99 to 4.99 from 1 shops.